Unless you are a pretty serious sports fan, the terms wild card and non wild card can be a bit confusing. You may have run into these terms several times in the past but have been unaware as to what they are. In this comparison article, we explain the idea behind the wild card concept. The wild card round is defined as the postseason series of games in a particular sports league. The term wild card team refers to a team that has managed to enter this series despite not having won in its own division. These wild card teams are typically the teams with the best records among the non-division winners. A non wild card team is therefore a team that has been able to play in this series based on a series of victories in its own division, regardless of their records. In the NFL, teams are divided into two groups: the National Football Conference and the American Football Conference. Each of these conferences is further divided into North, South, East and West divisions. In each conference, two wild card teams are added to the four division winners. 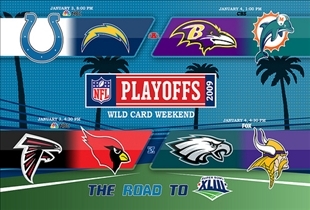 In the NFL, the wild card round is the first round of the playoffs. Here, two wild card teams are pitted against the lowest-seeded division winners. The winners of these games are then matched against the top two division winners in the Divisional round. These two top teams have the edge over the other tams in terms of having one less game to win in order to qualify for the Super Bowl. The NFL first implemented the wild card system in 1970. Major League Baseball employs a similar system, although instead of two wild card teams, only one wild-card playoff team is matched with the three division winners in both the National League and the American League. During the first round of playoffs, the wild-card playoff team is pitted against the division winner that has the best record in the other divisions. The division winners go up against each other, and the winners of the series go on to play in the League Championship Series, wild card is the series of games preceding the World Series. 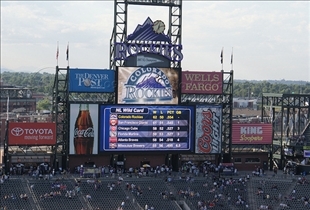 The wild card system was first implemented in Major League baseball in 1995. Wild card teams in baseball have better chances to win compared to their counterparts in football. This is partly because wild card teams aren't required to win one game more than the top teams, unlike in the NFL. Which team would you root for?